Components from famous top quality brands. 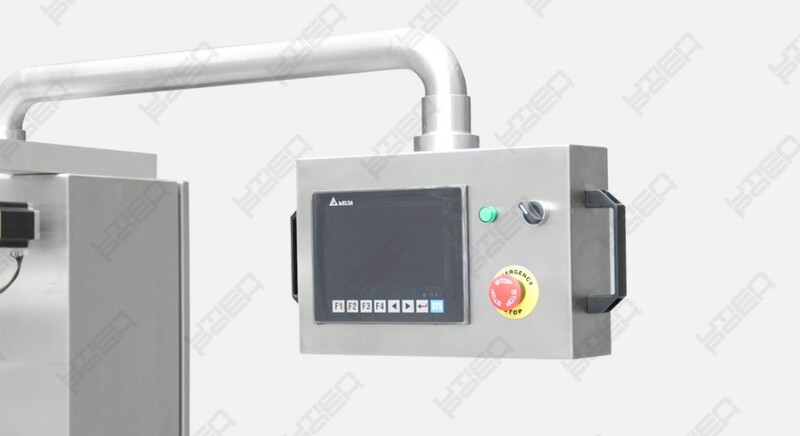 Safe and easy to operate with PLC touch screen operating system. Outstanding M.A.P. 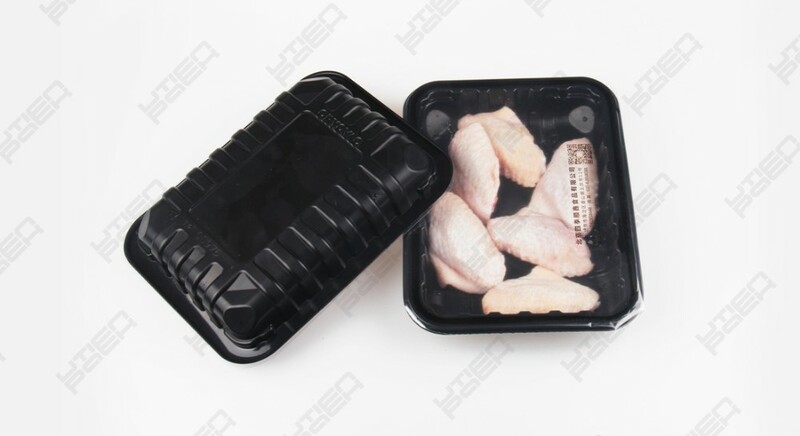 packaging with vacuum and gas flush. 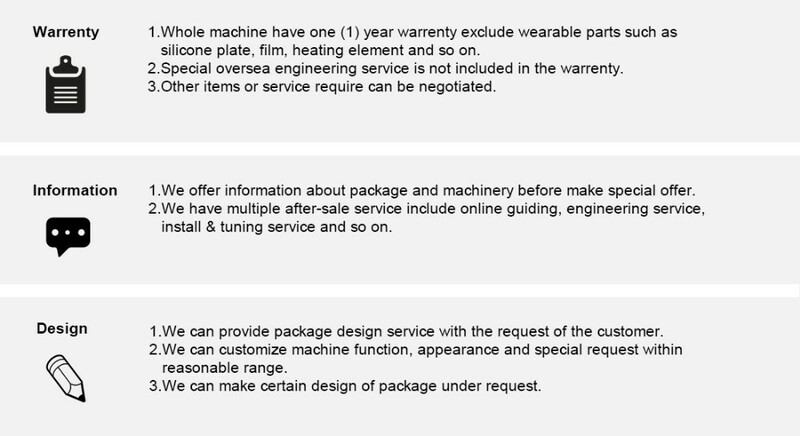 Provide full after-sale service, engineers are able to service overseas. 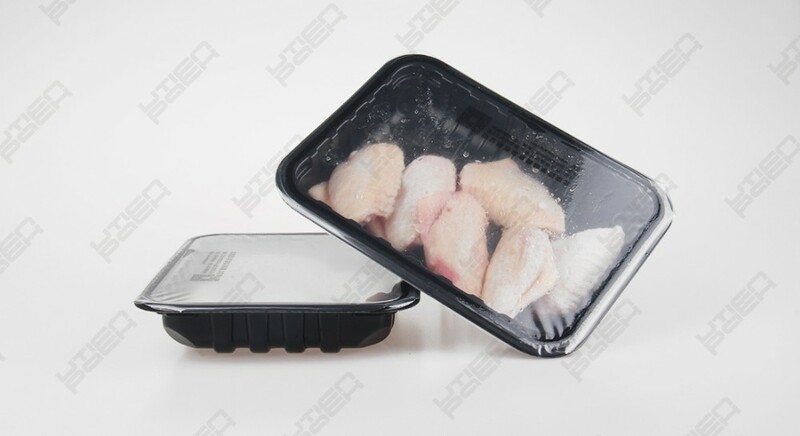 Chicken wings packaging is quite suitable for small super market and fresh meat shop for small amount packaging. 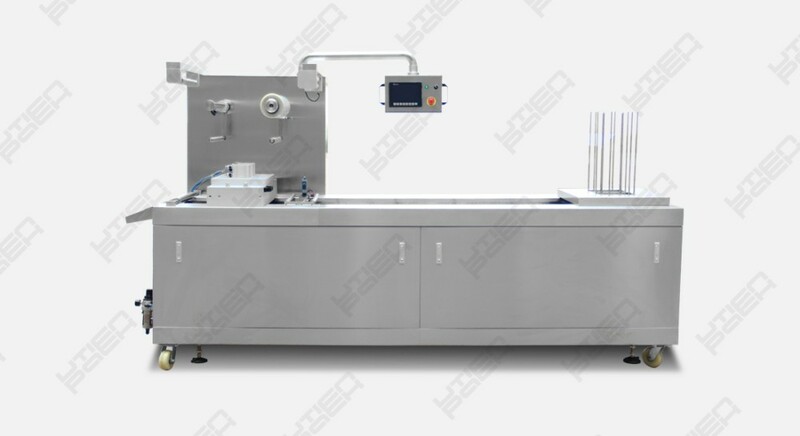 Highly integrated package machine with tray sealing, product filling area, gas flushing and die cutting. Reduce the risk of contacting insanitary source. 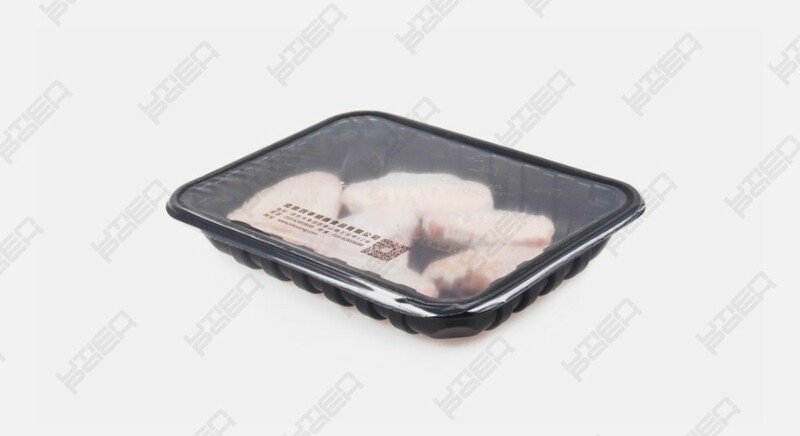 To ensure the security of people and property we make several design on the machine such as stainless steel cover for different section to keep the hand out of moving parts. Safety sensors are installed under the cover, inside the door and other removable parts to make sure the machine can auto-stop while the covers and doors are open. 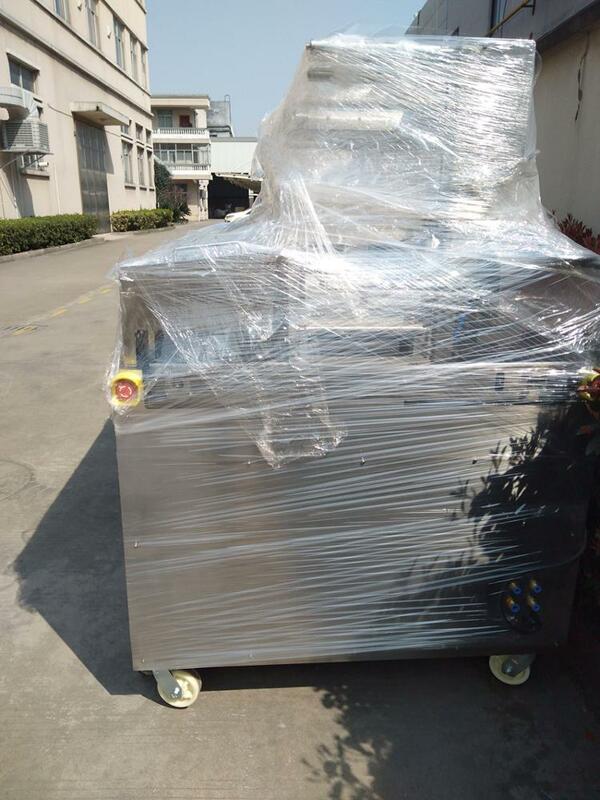 Large size 10" touch screen make the operation easy and safe. The system is simple to learn and easy to use. 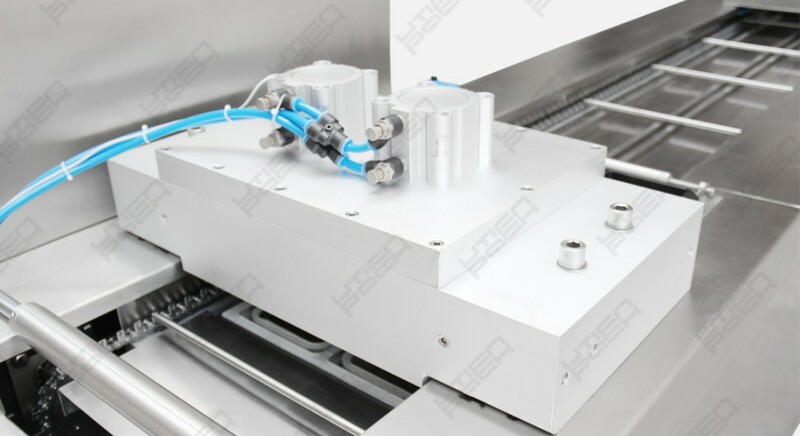 The machine also have easy mold changing design which makes the mold changing fast and easy. 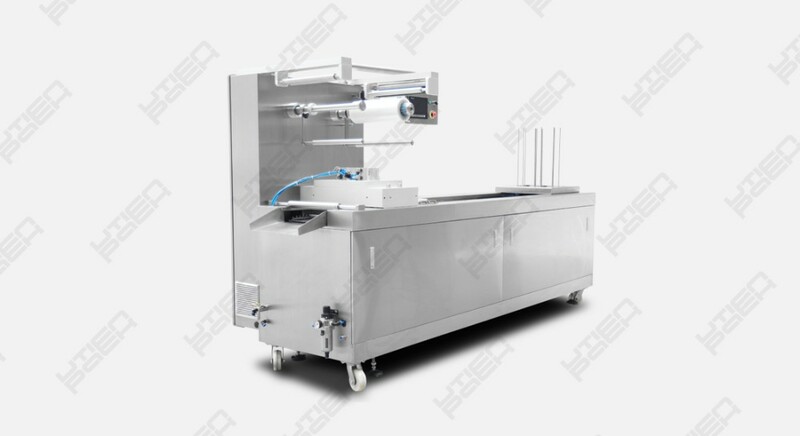 This machine is based on MAP packaging technology, which vacuum and gas flush the package to make sure the atmosphere inside the package is totally controlled. 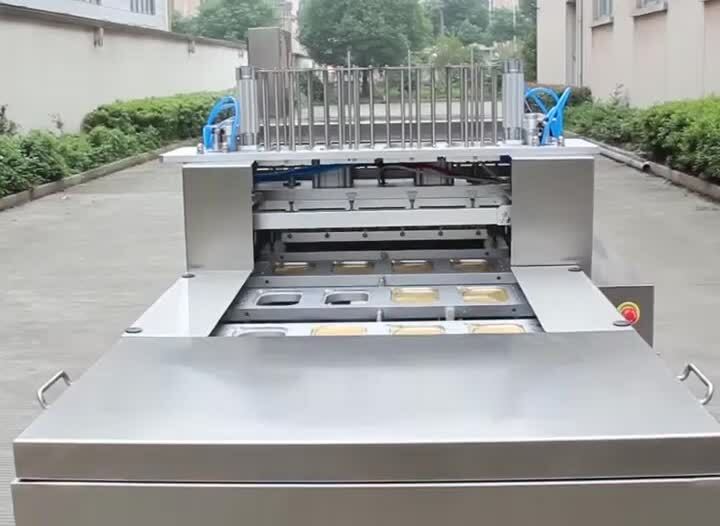 Automatic cutting makes the package easy to open. Q1:How long does it take to deliver the machine after the order & deposit? A1:Usually it will take 60-90 working days to manufacture the machine and make it ready to deliver. At first 30 days the technical drawing will be made. 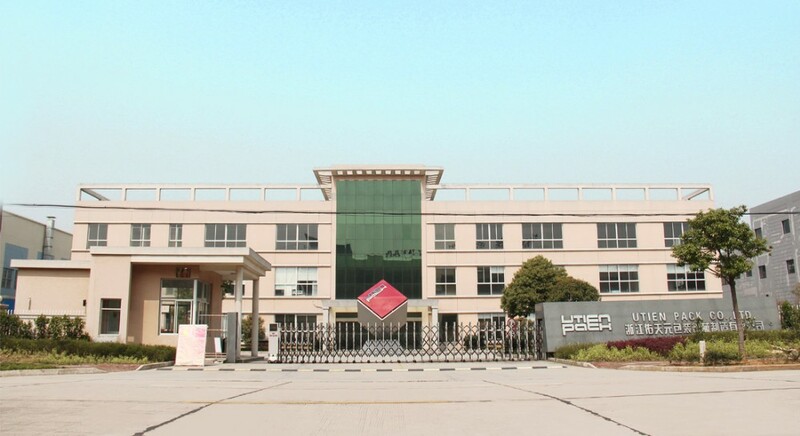 The second 30 days start manufacturing the parts and ready to assemble. In the last 30 days the machine will be assembled and tuned to make sure it is ready to deliver.